It's a cliche, but it's true... Time is Money. 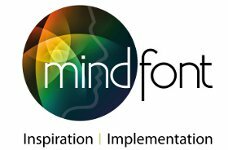 Here at Mind Font Ltd we offer a combination of everything except employing more people. Tell us about your business, what works and what could have worked better. We'll apply our digital marketing experience and knowledge for your benefit. Your business is the starting point for any work we undertake. Understanding your key priorities is the first step to deciding whether a particlar technique or strategy is right for your business. With solid foundations, we can help turn your marketing operation into a machine that delivers month in, month out. We even provide a monthly reporting service that reduces your time still further but still keeps you in control and lets you know what's happening.